Jura Limestone is generally recognised in the stone industry as being one of the hardest and most durable limestones in the world. This variation is the best quality it is possible to buy. It is also the style which uses the parts of the quarry where a consistent blue grey sediment runs through the stone. We think this is great change from many of the more common limestone colours. 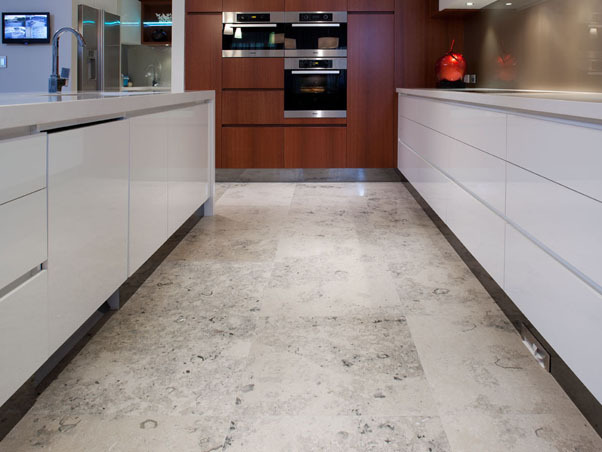 Combine the colour with the classic Jura Limestone characteristics of shells and fossils and the result is a unique and interesting option for natural stone flooring. We try to keep most sizes in stock so quick delivery is possible.